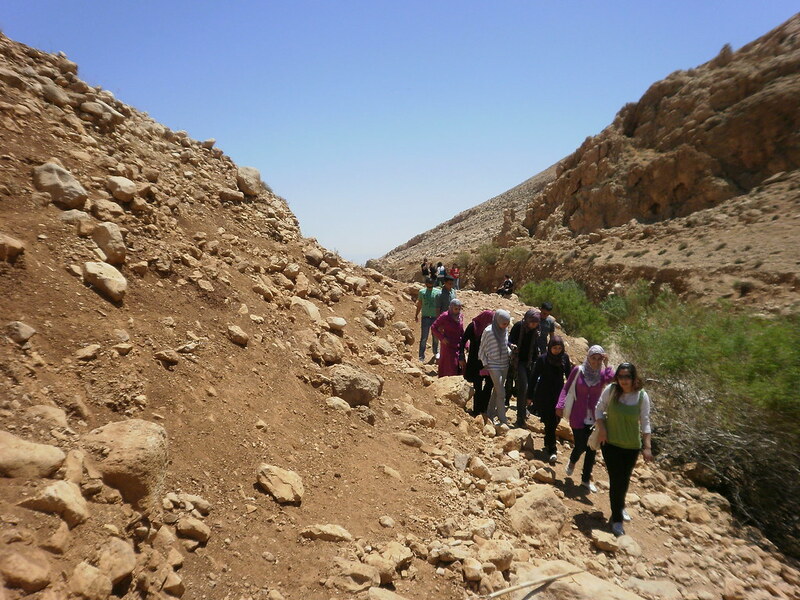 On a dry Tuesday in Auja, a small West Bank village outside Jericho, the village’s traffic is doubled by 9 a.m. as cars pull in to the EcoCenter established by Friends of the Earth Middle East in 2010. 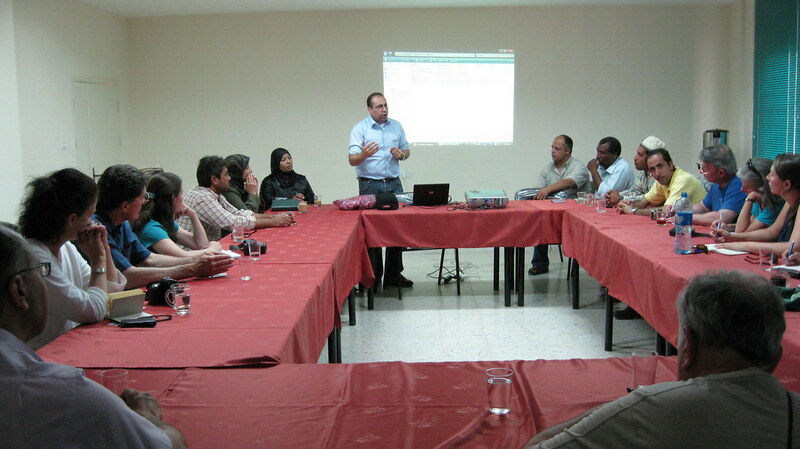 Convening in the center’s main conference room, Palestinian non-profit workers from organizations including FoEME’s Bethlehem office,Battir’s eco-museum, and staff of the Auja Eco-Center are at work creating problem trees. As each group presents, they explain the diagrammed causes and effects of problems relevant to their work, like pollution of Auja’s local streams or reduced tourism along the Jordan River. 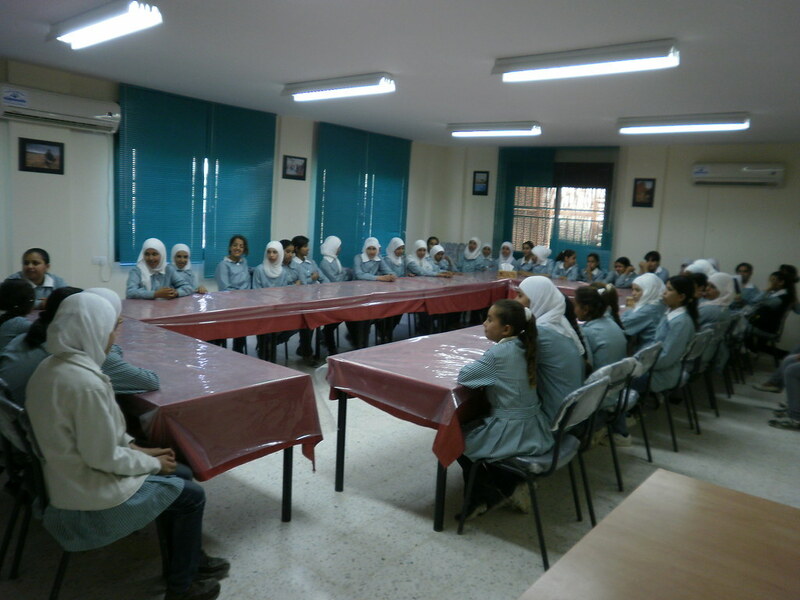 These workers largely come from management positions in NGOs based in Bethlehem and other communities across the West Bank to participate in the Do No Harm program workshops presented in six weekly installments spanning from April 15, 2014 to May 20, 2014. 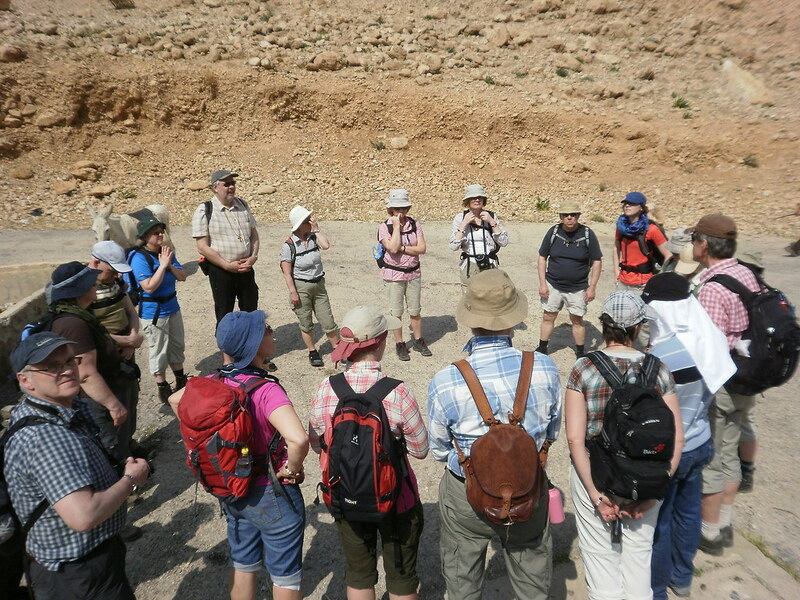 Here in Auja, they are met by trainers Roman Henkel, Siham Fayad, and Khaldoun Frijat who work for the Jericho office of the sponsoring organization forumZFD, an association of German non-profits aimed at developing and implementing methods of non-violent conflict resolution. In particular, the Do No Harm workshop asks participants to work in teams to develop model projects related to their work at local NGOs. Through planning and development of these projects, Do No Harm seeks to improve effective project cycle management and strengthen participants’ abilities to manage projects in a conflict-sensitive way. In the long-term, Do No Harm hopes to help combat the observed fragmentation of Palestinian society through establishment of a network of trained partner organizations. Each workshop focuses on a different aspect of effective project management, from crafting a budget to identifying potential sources of conflict or unity within the target community. 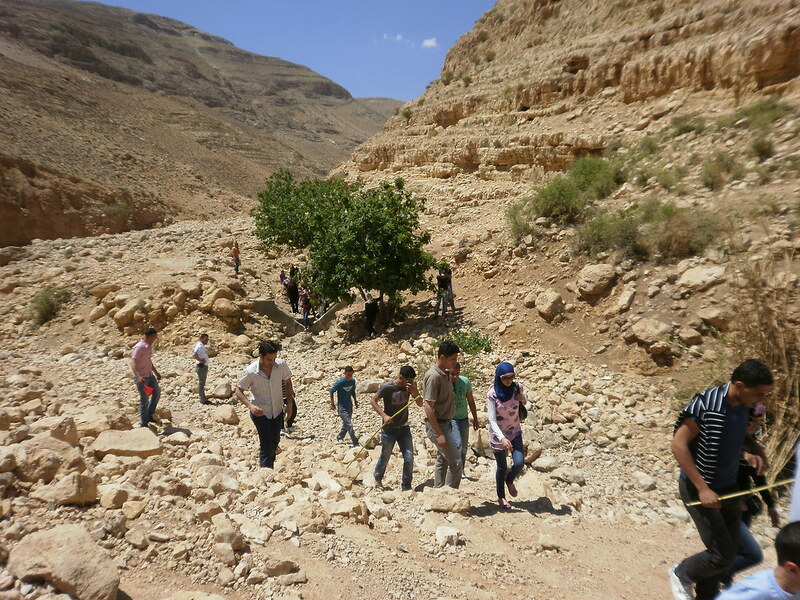 According to Mohammed Obidallah, FoEME’s Good Water Neighbor Project Manager at the Bethlehem Office, the training is a crucial step to help those who, in turn, aid their communities. “This training course offered by ZDF is very important in building the skills of key institutional staff that expands the capacity and performance of their entire organizations. And these benefits are not only for the training’s participants, but are ongoing through the actual implementation of the model project and the development of the educational program,” he said. Upon completion of the workshop, participants receive a certificate from forumZFD and the winning model project is awarded up to 1,500 euros towards its implementation. The amount is paid in two installments, half at the beginning of the project and half upon its effective completion and forumZFD’s approval of a final report. The winning project is an Environmental Learning Center. 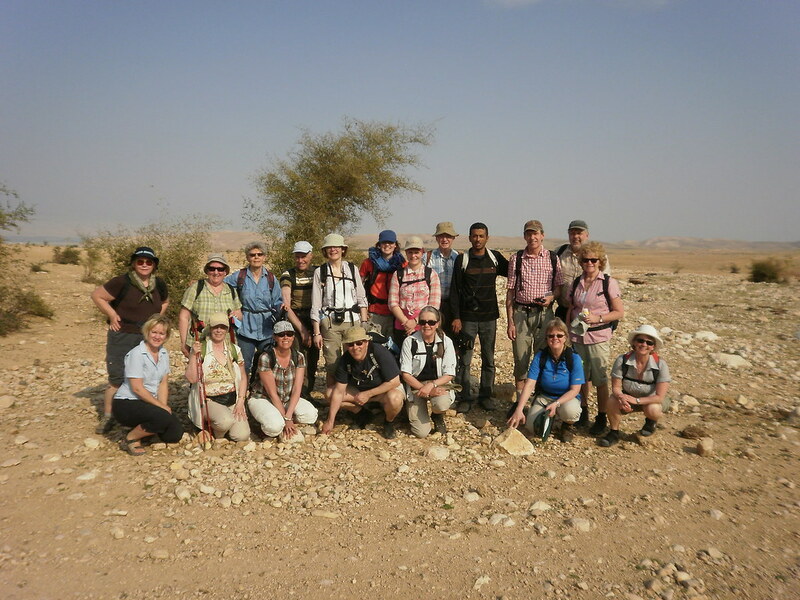 The building will include metal dome with stations for learning about the unique geology, ecology and landscape of the Jordan Valley, as well as the environmental crises that exist in the region..
Auja EcoCenter installed a weather station for observing atmospheric conditions to get information and to study the weather and climate. The measurements will be taken regularly include temperature, barometric pressure, humidity, wind speed, wind direction, and precipitation amounts. 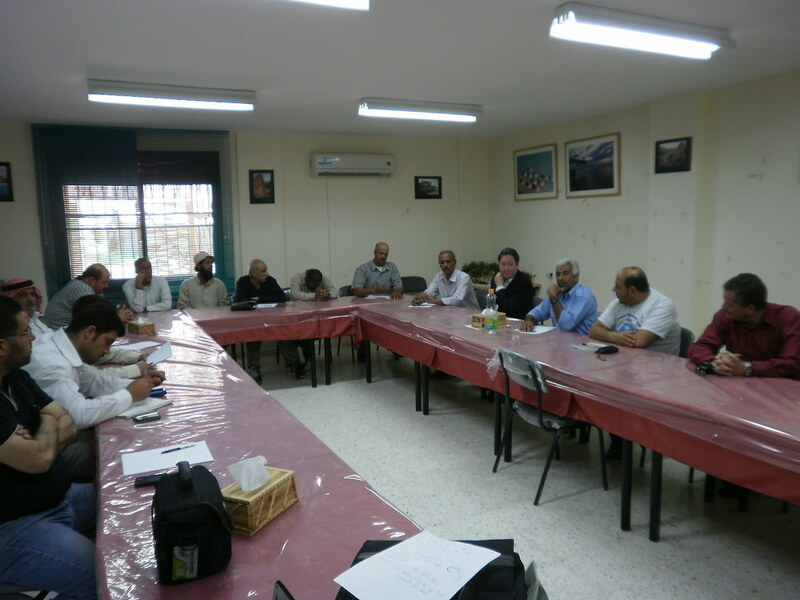 On October 9th 2013 Auja EcoCenter organized in cooperation with the Palestinian Peace Coalition a seminar entitled " Municipalities and the reality of the issue of water : the requirements of economic and institutional ", where attended by Dr. Abdul Rahman Al -Tamimi, director of Palestinian Hydrology Group and Ms. Faten Abboud project manager in the Palestinian Peace Coalition and Auja EcoCenter Manager Fadi Jweijat with audience of representatives of government institutions , universities, municipalities and village councils in the province of Jericho and the Jordan Valley and the number of people interested in the development of the water sector. Dr. Abdel-Rahman Tamimi, highlighted in his lecture of the role of government institutions and non-governmental organizations in the provinces in general and in the province of Jericho and the Jordan Valley in particular in the construction plans for an integrated strategy, so as to ensure the Palestinian citizen sustainability in the provision of water sources is enough to keep up with the future development at the level of the population, agriculture and industry. 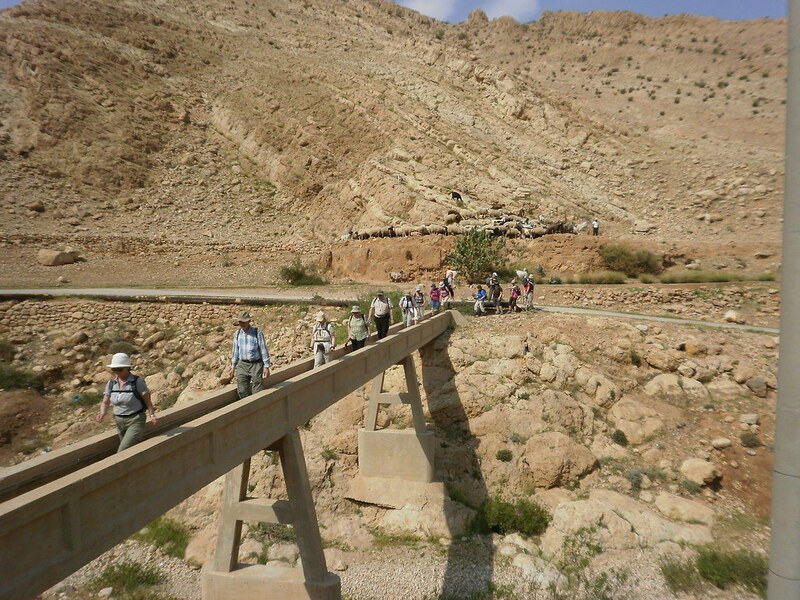 He called Tamimi formation of body institutional government "the power of the Jordan Valley, " is working on the management of water resources in the Jordan Valley, on an integrated basis of all that has to do with aspects of life. Dr. Tamimi stressed also, the need to supplement the region of vital projects that advance the Palestinian agricultural sector as a whole, and not to limit water in one area. 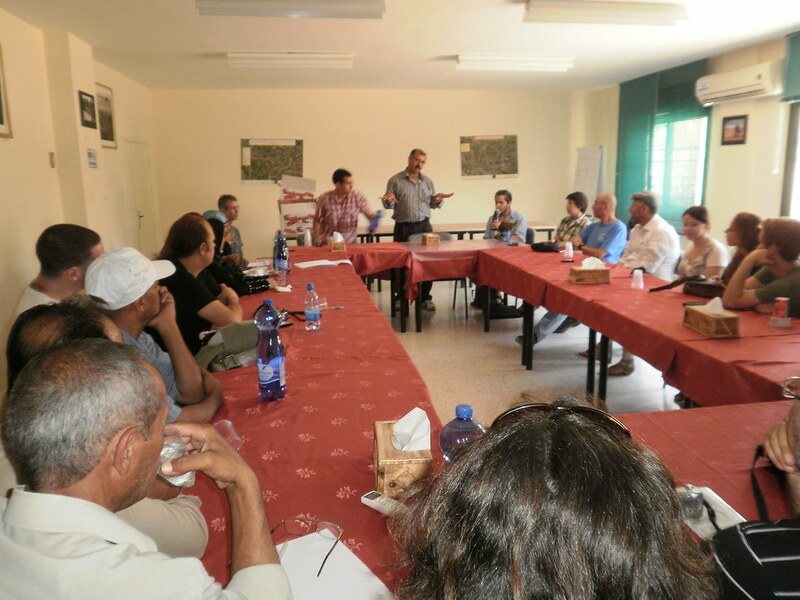 Auja EcoCenter hosted a group of Palestinian journalists with the aim to further expose - via the media - the role that Ecocenter has played in Palestinain communities. 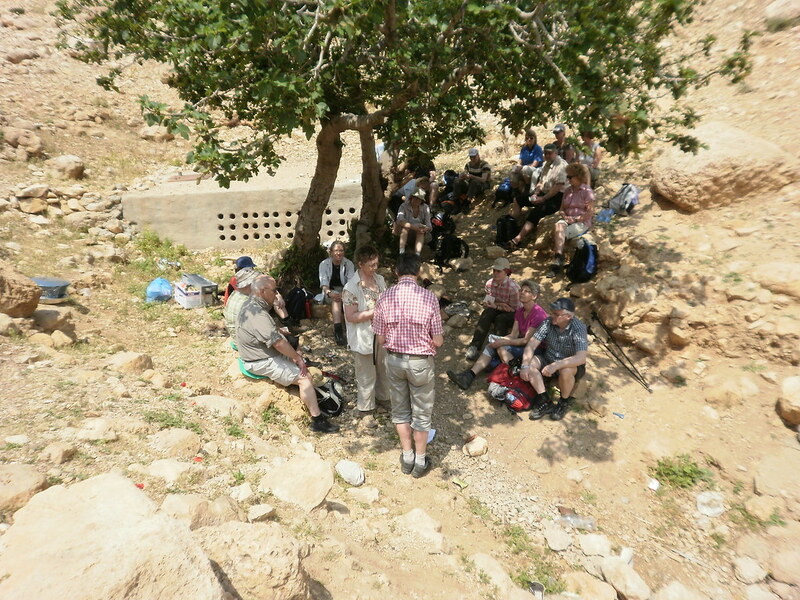 On August 29th, in Auja, journalists toured the Auja EcoCenter, and heard about the many environmental education activities offered at the Center, and witnessed an on-site training session being given to educational staff in preparation for next year's expected influx of Palestinian youth.